Curt Yagi joined the R.O.C.K. family as a volunteer in 1998, a Board Member/Chair in 2000 and finally as the Executive Director in 2003. Prior to R.O.C.K., Curt spent several years in the corporate sector where he held a variety of business and technology consulting positions at small and large companies. He held the position of Chief Operating Officer at a small San Francisco company, where he gained valuable operational experience which he is able to leverage at R.O.C.K. today. Curt was the 2006 YNPN Executive Director of the Year, a 2006 graduate of Leadership San Francisco, a 2007 fellow at LeaderSpring and the 2012 Unsung Hero Award awardee of the Golden State Warriors. He holds a BS degree in Computer Science from the University of California at Davis. In his spare time, you might find Curt hanging out with his wife and two kids, practicing Brazilian jiu jitsu, surfing or performing original music throughout the Bay Area. Gina has a diverse background that includes elementary and middle school education as well as program administration. As a native San Franciscan, She attended Aptos Middle School and Lowell High school prior to graduating from the University of California, Davis with a double degree in Psychology and Spanish. Gina served as a Spanish teacher for grades K-5 in Seattle, WA and prior to that she was the Director for Summerbridge San Francisco, a non-profit academic program. Outside of the office Gina enjoys outdoor adventures, dancing, and sporting events. Gina and her husband are the proud parents of three children; Omar, Sophia, and Joshua. Mike has been working with youth in the nonprofit sector for his entire career and is from Edwardsville, a small town in southern Illinois. He graduated from Clemson University with a Bachelor’s in Psychology then went to Hawaii to get his Master’s of Science in Counseling Psychology. He’s worked as a Counselor, Program Supervisor, Program Director and is thrilled to join the team as Deputy Director at R.O.C.K. In his free time, Mike loves playing tennis and volleyball, reading, spending time with friends, hiking, traveling, camping and running with his dog, Kona. Hayley was born and raised in a small town in Monterey County, California, and received her Bachelor of Arts in Communication Studies from California Polytechnic State University. Prior to joining the R.O.C.K. team, she discovered her passion for nonprofit service through her work with the San Luis Obispo Botanical Garden and the Giants Community Fund. Hayley is currently pursuing her Masters of Nonprofit Administration at the University of San Francisco, and in her free time enjoys creating art, adventuring to new hiking spots, and playing with her chocolate lab, Koda. Devin is the Family and Community Engagement Coordinator, focusing on creating opportunities for partnerships with families, R.O.C.K. programs, and the Visitacion Valley Community. After finishing her undergraduate at California State University East Bay majoring in Sociology with Social Service option, she wanted to work closely with the community and their families. She first joined R.O.C.K. as a line staff leading various enrichment activities including art, recreation, and cooking. Devin enjoys eating great food, hiking, and painting. Natalie is a Bay Area native who is passionate about bringing excellent programming to the youth and families of San Francisco. Over the past 12 years, Natalie has gained experience working with youth through various after school programs, summer camps, and outdoor education non-profits. She brings with her a background of program management and hands on classroom experience. In her free time Natalie enjoys reading sci-fi and fantasy novels, exploring local nature, cooking, spending time with her family and traveling.  Adrianna began her journey at R.O.C.K. as a student intern, Assistant to the Beacon Director, Assistant Elementary School Coordinator and is now the Elementary School Coordinator. Adrianna grew up in East Los Angeles before attending San Francisco State University as a first generation student, where she earned her Bachelor’s degree in Child and Adolescent Development. She has developed a love for the city and passion for working with the youth of Visitacion Valley. In her free time, Adrianna enjoys watercolor painting, singing, watching her favorite tv shows, and spending time with her loved ones. Ryan was born in South San Francisco and graduated from San Francisco State University with a Bachelor’s degree in Psychology. He specializes in Early Childhood Development and has been working with kids from the time he was 15 years old. Before joining R.O.C.K., Ryan worked at a sports and enrichment camp with the South San Francisco Parks and Recreation Department and was in charge of multiple after school programs. He enjoys photography, nature, spending time with friends, art and hiking. Kania re-joins our team as the Middle School Coordinator. Kania’s journey with R.O.C.K. started in 2013 as a tutor and then Technology Coordinator soon thereafter. In 2015, Kania was presented with the opportunity to teach Drama and Digital Media at Visitacion Valley Middle School and carried on with teaching until last year. Kania returns with the same drive, passion, and commitment to educate and build community for the children at VVMS. Kania is a graduate of UNLV where she studied set design and lighting. Kania is also the oldest (and very proud) sister of three younger siblings and she loves to laugh, organize spaces, and design/create things with her hands. Alexis was born and raised in Vallejo, went to high school in Berkeley, then moved to New Orleans to study Sociology. Shortly afterwards, she transferred to San Francisco State University and got her Bachelor’s in Africana Studies with a minor in Criminal Justice. Alexis has worked with literacy organizations in Bayview – Hunter’s Point and has worked in both during and after school programs. Her biggest dream is to be able to make an impact on kids on a daily basis. She loves spending time with her family, fashion and going on great vacations (and California staycations)!